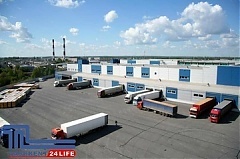 Latvian logistics and transport company SV Gulbis has signed a memorandum with Uzbekistan’s rail company Temir Yollari to establish a joint venture that will build a modern transport and logistics center in Tashkent, Latvian Ambassador to Uzbekistan Mihails Popkovs told LETA. The official opening ceremony of the Latvian enterprise’s GIGkarts manufacturing plant took place on 6 October in Chirchiq city, Uzbekistan, informed Embassy of Latvia in Uzbekistan. Estonian green technology companies are participating in a joint development cooperation project with the Ministry of Innovative Development of Uzbekistan with the objective of establishing a center of competence in green innovation in Uzbekistan, informs LETA/BNS. The Uzbek Embassy in Riga is organizing Uzbekistan-Latvia Business Forum and Cooperation Exchange in Riga this week, the embassy informed BC. In the first seven months of 2018, Latvia's Olainfarm pharmaceutical group raised sales 4% against the same period last year to EUR 70.602 mln, informs LETA. atvia is prepared to further provide assistance to Uzbekistan’s reforms, both bilaterally and as part of cooperation between the European Union and Uzbekistan, Latvian Foreign Minister Edgars Rinkevics (Unity) said during a meeting with Uzbekistan’s Ambassador to Latvia Badriddin Abidov. The world economy knows many examples of fairly rapid growth of the economy of the state; first of all, these are Asian countries – Singapore, South Korea, the provinces of the People’s Republic of China – Hong Kong and Taiwan. What is the phenomenon of such rapid economic development in Uzbekistan?